As the gifted Impressionists so brilliantly illustrated, Normandy changes dramatically with the seasons – but the one constant is that it’s a great short break or holiday destination at any time of year. Gillian Thornton explains why. Warm summer evenings give way to the first crisp mornings of autumn. Life in Normandy steps down a gear and a quieter, mellow phase kicks in. Yet for passengers arriving in Caen or Cherbourg, there’s more than enough to keep them thoroughly entertained across the region. 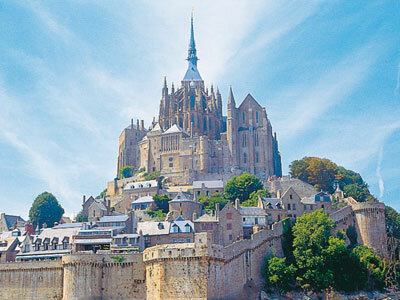 Major cultural attractions such as the Bayeux Tapestry and Mont Saint-Michel are open throughout the year, and local Tourist Offices are very well stocked with other rewarding ideas. Although the days are shorter, the weather can be beautiful and with summer visitors gone it’s easier to absorb the atmosphere of Normandy’s appealing heritage towns and beautiful natural landscape. 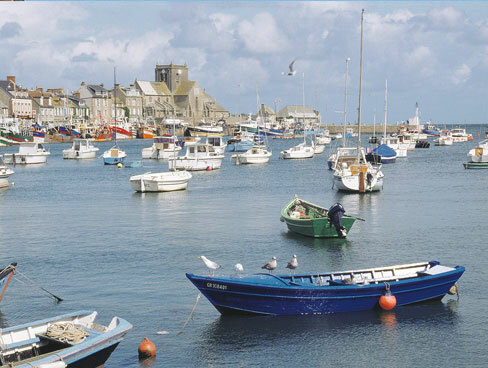 The region also boasts five communities which rank on the elite list of France’s most Beautiful Villages – Beuvron-en-Auge, Barfleur and Saint-Céneri-le-Gérei in Lower Normandy, and Le Bec-Hellouin and Lyons-la-Forêt in Haute-Normandie. Bustling with visitors in summer, they regain their natural rhythm as the seasons change. If the seaside is your usual summer preference, out of season gives you the perfect opportunity to explore the flamboyant meanders of the Seine Valley west of Rouen and to take in ruined abbeys and thatched cottages, or to browse local high streets and farm shops for Christmas gifts which have a distinctly French flavour. In half-term holidays there’s plenty too to keep children happy. Bring history to life by following in the footsteps of William the Conqueror, or visiting the museums and memorials of the D-Day beaches. 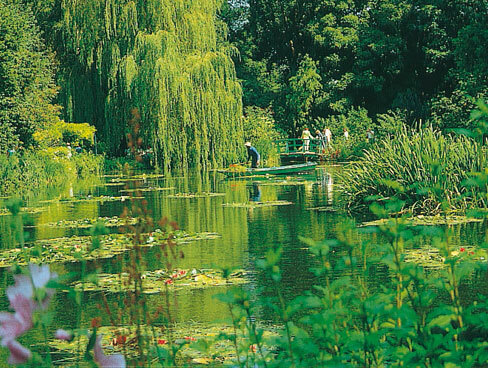 Inspire budding young artists through the landscape made famous by the impressionist painters. Normandy is good for healthy outdoor fun too, whether you enjoy biking, bird watching or a bracing beach walk. And, of course, travelling in your own car has its own advantages, such as bringing your own equipment and specialist clothing, not to mention the family dog! There’s something magical about hugging the outer limits of the land and enjoying a coastal walk under winter skies. Explore the wide, open sands of Operation Overlord and the chic shores around Cabourg and Deauville. Hike the cliff tops of the Alabaster Coast around Fécamp and Etretat or the dramatic headlands of La Hague, west of Cherbourg. If you’ve never seen Mont Saint-Michel from the seabed, book a guided walk across the bay at low tide. Walks operate daily throughout the year and are suitable for families with babies in backpacks or children of around 7 and over who can walk for a couple of hours. It’s an experience which gives you a unique perspective on one of France’s most iconic monuments. But if this sounds a bit too adventurous, enjoy a stroll beside the Mortain Falls, south of Vire. For families, the waterfalls that make up the Little Cascade are easily accessible from the town centre, whilst at the Big Cascade the Cance river plunges 20m over the edge of the massif. Or you can follow some of the marked trails through the gorges of the Suisse Normande around La Roche d’Oëtre, Clécy and Thury-Harcourt. Normandy is criss-crossed with footpaths and cycle trails. Again, you’ll find maps and leaflets at any local Tourist Office, as well as information on bike hire. Keen cyclists may like to tackle part of the Marvels Trail that runs from Mont-Saint-Michel to Paris, or perhaps the Historical Trail along the D-Day beaches. In Normandy, autumn and winter are busy times for birdwatchers, especially around the Regional Nature Park of the Cotentin and Bessin marshes. Avian summer visitors amass in great numbers as autumn approaches, ready for the long flight south, whilst other species arrive from colder climes to spend the winter here. So pack the binoculars and keep your eyes peeled! However sketchy your memory of British history, most people know something about William the Conqueror, crowned William I of England after the Battle of Hastings in 1066. 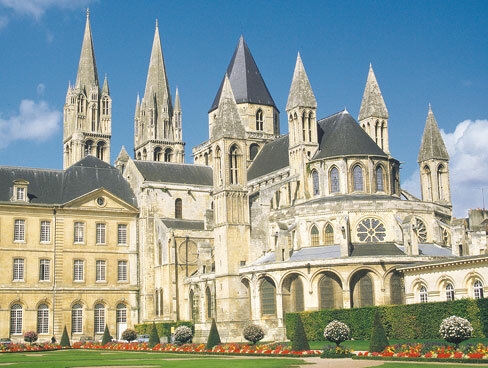 Visit his birthplace at Falaise Castle, his ducal seat at Caen Castle, and his tomb within the Abbaye aux Hommes in Caen. 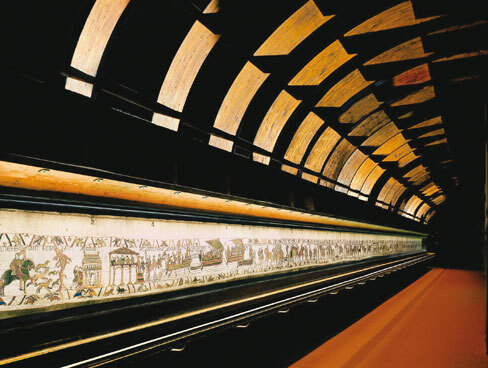 Then, for the story (in full colour) of the Norman invasion, enjoy the medieval strip cartoon of the Bayeux Tapestry. All sites open almost daily, but if you’re travelling and visiting in January or February it’s advisable to check websites. And families visiting Falaise Castle between November 15th and January 6th also have the unique opportunity to see this atmospheric fortress transformed for the festive season into the world of Sleeping Beauty. In Cherbourg, La Cité de la Mer and its exhibitions focusing on undersea exploration have been delighting visitors for a decade. Housed in the old Gare Maritime, it’s a family attraction the weather can’t spoil and is conveniently close to the town centre and ferry terminal. Don’t miss the Titanic galleries, opened for the 2012 centenary, or the tour of Redoutable, the nuclear submarine. A new attraction this autumn near Val-de-Reuil in Eure is Biotropica, a zoological greenhouse which takes visitors through themed areas covering many aspects of tropical biodiversity. Opened in September, Biotropica promises more than 100 species of animals and 50 tropical plants, as well as an outside area featuring a mini farm, a lakeside walk and close encounters with wallabies. It opens daily, February to the end of November. Wildlife fans will also enjoy Champrépus Zoo near Granville. It opens during the late October/early November half-term, and then from February onwards. Highlights here include the animals of the African Savannah, lemurs from Madagascar, and a colony of comical black-footed penguins. Maybe horses are more your thing. In which case, don’t miss the ‘Versailles-style’ stable buildings of the Haras du Pin near Argentan, which remain open to visitors on winter afternoons and give an eye-opening opportunity to appreciate traditional Norman horsepower at its very best. The winter months are a great time to take a short break in any of Normandy’s many heritage towns – a chance to enjoy cultural sites at your own pace and relax over a meal of authentic Norman cuisine in a cosy restaurant. The cobbled streets and half-timbered houses of Rouen’s old town certainly pack a dramatic historical punch. Joan of Arc was burnt at the stake here in 1431 and the heart of Richard Coeur de Lion rests in the flamboyant gothic cathedral. But the regional capital has a vibrant contemporary scene too with a year-round programme of special events. Crossing to Normandy with Brittany Ferries means that you don’t even need to take your car to explore the delights of Caen and Cherbourg. A regular bus service links the ferry port of Ouistreham with the centre of Caen, just eight miles away. As well as William’s castle and abbey. 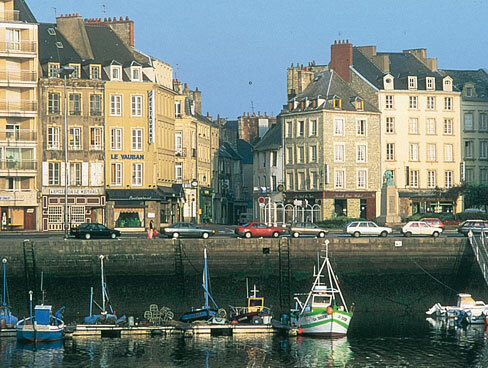 Caen has some lovely streets, squares and public buildings, plus a colourful marina and canal. Plant lovers shouldn’t miss the botanical garden, created 250 years ago and featuring horticultural collections, medicinal plants, exotic greenhouse varieties and an orangery. The garden is open all year round and admission is free. 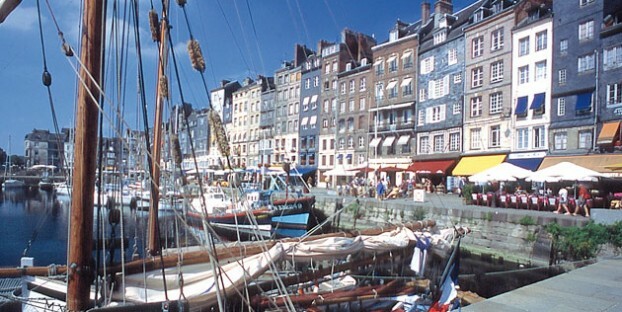 In Cherbourg, as well as La Cité de la Mer you can see a variety of other not-to-be-missed attractions, including an eclectic Victorian natural history collection and botanical garden, a vast enclosed harbour, and a tempting choice of shops and restaurants. Military history and fantastic views are on offer at the Roule Fort, high on a cliff above the harbour. A taxi is the easy way up the steep z-bends to reach it, but walking back down is less of a challenge! 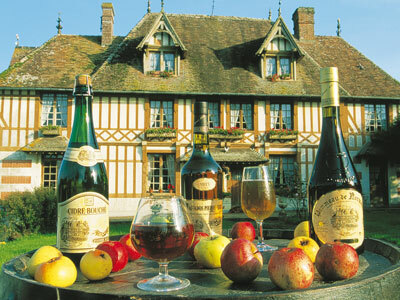 If you’re touring by car, autumn is a great time to follow the Route du Cidre. This winds for 40 km between Cambremer, Bonnebosq and the picturesque half-timbered village of Beuvron-en-Auge. The orchard landscape is dotted with cider and calvados producers, and every farm oozes the delicious smell of freshly-harvested fruit. Look out for the Cru de Cambremer quality label, and drop in for a tour or a tasting. And don’t forget to fill up the boot with some liquid gold to take home! Drivers don’t have to miss out here either – many of the farms produce their own apple juice, and further south around Barenton and Domfront the Perry Route links producers of poiré and pear juice. If drinking the fruit isn’t enough, you can enjoy a relaxing massage or beauty treatment combining thermal spring water and extracts of apple at the B’o Spa Thermal in Bagnoles-de-l’Orne. Then there’s golf. Normandy boasts some stunning courses with spectacular coastal and countryside views, and the French are much more relaxed and informal about the game than we Brits are. Take your own clubs or hire on site. The natural light and landscapes of Normandy are at the very heart of the Impressionist movement, which took the art world by storm in the 1870s. Following the success of the first Normandy Impressionist Festival in 2010, a second celebration is taking place at venues throughout the region between April and September 2013, the main theme being water. There are plenty of other locations where winter visitors can not only enjoy the work of the great masters but also walk in their footsteps and see for real the scenes they portrayed on canvas. The Impressionist school gained its name from a painting by Claude Monet entitled Impression: Sunrise, painted in Le Havre in 1872. Today the city’s André Malraux Museum of Modern Art (MUMA) contains impressionist works by Boudin, Corot, Sisley and Pissarro. It was Eugéne Boudin who encouraged the young Monet to paint out of doors and art lovers can see his work in his home town of Honfleur, famous for its glorious enclosed harbour. Boudin painted many beach scenes in nearby Deauville in the hope of selling to wealthy holiday makers – a strategy which paid off. Today Deauville still oozes style, the family-friendly sands backed by the famous boardwalk with beach huts named after A-list visitors to the annual film festival. A short drive up the Alabaster Coast from Le Havre brings you to the dramatic chalk cliffs of Etretat, depicted on canvas by many impressionist painters. They often captured the same scene in different lights, Claude Monet painting the west door of Rouen Cathedral no less than 28 times! One version resides in Rouen’s Fine Arts Museum and there are other major Impressionist collections at the Musée des Impressionnismes in Giverny, the Château-Musée in Dieppe, and – the second largest collection outside Paris – the MUMA in Le Havre. It all adds up to a delightful way to enjoy this picturesque region through the eyes of some of the world’s best-loved artists.